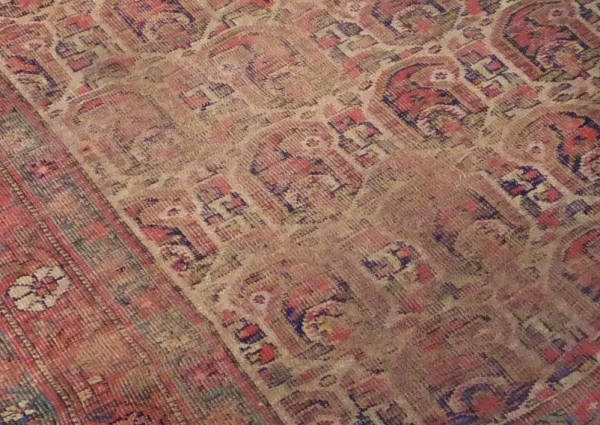 Afshar rugs woven in North West Persia showing Caucasian influence. Hand made on a loom with pure wool and natural dyes in and around the village of that name in the Azerbaijan province of North West Persia. The proximity of the Caucasus has had a strong influence, and can be clearly seen in Afshar designs. The growing scarcity of authentic Persian village and tribal rugs may lead to Afshar rugs becoming more collectible in the future. 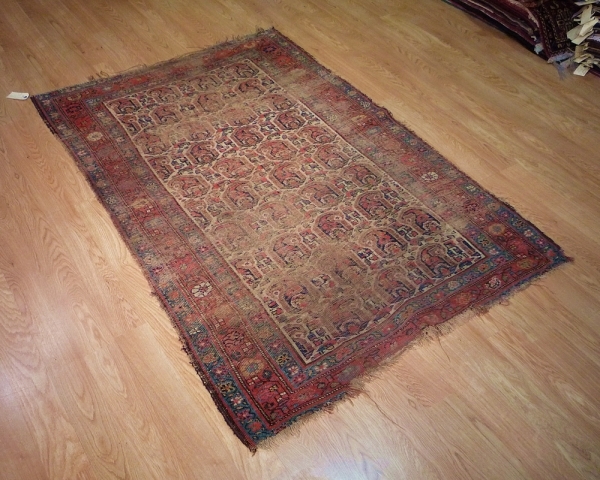 This rug is circa 1890 very very worn.